A few weeks ago, I was fortunate to attend a special event at the Finnish Ambassador's residence about the future of the nation's games industry. Picking out ten studios who had already received funding for their game and allowing them the chance to pitch to investors for cash, there was one hopeful refrain from the Ambassador that each of these studios seemed happy to be associated with: that any of the businesses pitching could, just possibly, be the next Supercell in waiting. Of course, the likelihood is that none of them are. In the hit based games business, success stories like Supercell are wild outliers selling a romantic myth of success in an often difficult and brutal industry. Nevertheless, those success stories often provide the succour and confidence for a national industry. Emboldening developers to take risks, encouraging the peculiar optimism that the games industry relies upon and, ultimately, giving investors or publishers enough hope of a return on investment, the effect of standard bearers on a national industry can prove pretty genuinely useful. The reason why this struck a chord with me is that the UK industry has suffered a couple of body blows in the past year. Though the sector remains in relatively good health, the near closure of Driveclub developer Evolution Studios and the loss of Lionhead Studios has robbed Britain of a couple of success stories - as well as just a bit of its confidence too. In short, it feels like the UK industry needs a new hero to hold up in front of the world. And one company auditioning for the role, whether intentionally or not, is Guildford-based Supermassive Games. The Until Dawn developer is using its newfound success to establish a gaming franchise, grow its head count and go it alone from publishing partner Sony. I caught up with Pete Samuels, Managing Director at Supermassive Games, to ask him about the success of the horror game, what it means for the company and whether they could provide a welcome shot in the arm for the UK games industry. 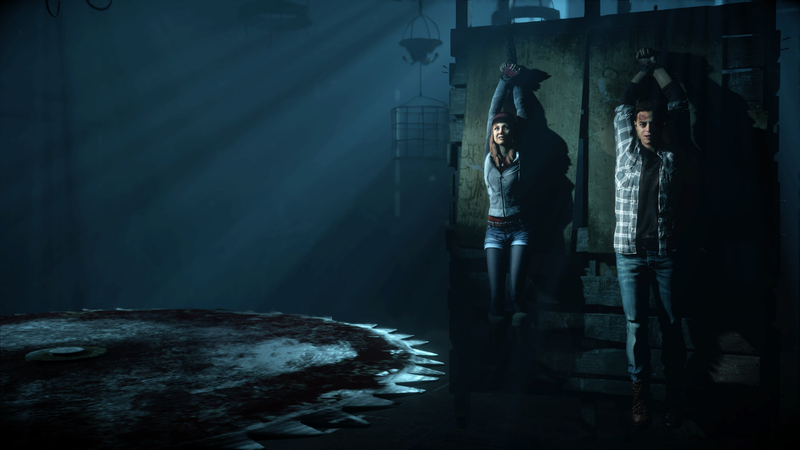 Until Dawn was probably the surprise hit of 2015. Following a similar path to Shadow of Mordor when it released in 2014, Supermassive's interactive B movie horror experience reviewed well upon release, surpassed sales expectations by October 2015 and won the BAFTA for Best Original Property in April 2016. And Samuels was, understandably, delighted with all of those things. "We were astounded in some respects at some of the reception that we got," he said, when asked about how well the game had done for the studio. "I mean, we knew we'd made something really good. We all like it here, we're very proud of it, but yeah, the way that the fans approached it and the feedback that we got there, and some of the critical acclaim that we got, and the sales... yeah, it couldn't have put us in a better place really." That's especially interesting to hear when you consider the history of the game's development. Having been announced in the summer of 2012 for the PS3, Until Dawn underwent a lot of changes, took a lot of time, and a literal change of perspective before it finally hit the market. "We were astounded in some respects at some of the reception that we got"
"It [Until Dawn] was originally announced back in 2012 as a Move title for PlayStation 3," Samuels explained, "and we got quite a way through that development process." "We had a lot of the game done, shot, recorded, systems all in place. We were actually approaching alpha, when we took the decision with Sony, to move that over to PlayStation 4, and change genre - because [the game was] no longer first person, no longer Move." This change directly led to the game's transformation away from a first person game into a third person interactive choice driven drama. And though hindsight shows us it worked out pretty well for them in the end, Samuels admitted that there was a chance that changing approach might not have worked out for them. "There were risks in that decision for sure. You know, we faced those risks every day," Samuels said. "That's the thing about doing something different...you never really know, where the jury is going to land on it." 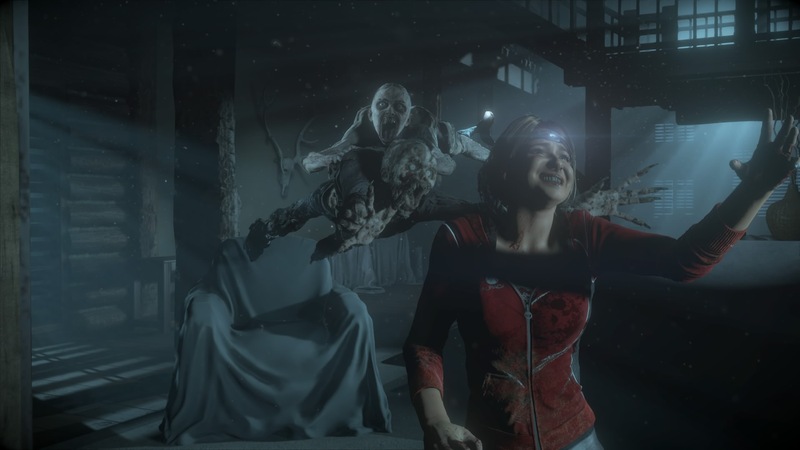 Fortunately, Until Dawn, to paraphrase Dan Whitehead's review of the game, managed to stick the difficult landing when coming off a relatively difficult development cycle. Creating a commercial success but also establishing the company as a creator of cinematic gaming experience, its success is having an important impact on shaping the future direction of Supermassive Games as a studio. The first impact of the game's success can be seen in Supermassive's VR work and, particularly, the forthcoming PS VR spin off title Until Dawn: A Rush Of Blood. Whether or not Until Dawn had succeeded, it's clear from talking to Samuels that Supermassive Games is betting big on the success of VR in the future. "Truth is, there are more unknowns than knowns, I believe, right now in VR, we all have to accept that we are learning"
Ahead of the interview, the company broke the news that it was supplementing its VR team with three industry veterans. And considering Samuels estimated that "roughly 30-40%" of the team were already working on VR at the start of the interview, it's clear that Supermassive Games is taking a pretty large punt on the platform. It's an approach that, again, is not without its problems. Chief among them, according to Samuels, is simply that developing games for VR requires a lot of learning on the job. "There's a lot of people out there right now, I dare say us from time to time, we'll do the same thing and hold ourselves up as 'experts'," he said. "Truth is, there are more unknowns than knowns, I believe, right now in VR, we all have to accept that we are learning," he said in a Rumsfeldian manner. Ranging from audio design, creating fully immersive environments and even the mind bending effect that controllers can have on in game reality (such as an incredibly difficult to understand situation in Until Dawn: A Rush of Blood where your arms look like they're spread completely apart in the VR environment but are still clutched firmly to a 20cm wide controller in the real world), developers have to mitigate for their lack of experience on the platform in a number of ways. For Supermassive Games, mitigating the risk partly comes down to some unforeseen advantages of the company's long-term publishing partnership with Sony. Having worked on games that used Sony's Move controllers as far back as 2010, Supermassive has a comparative wealth of experience with one of the main input devices for the forthcoming PS VR controller - providing an unequivocal advantage to the studio, according to Samuels. "Oh, absolutely, yeah. It's been invaluable," he said, when asked about working with PS Move controllers. "Those perspectives have really helped us with VR. It's almost like we were accidentally preparing for VR when we set up the studio eight years ago." "We're not working on Until Dawn 2 at the moment. We're working on other things"
But another way to mitigate risk in the VR space is to rely on a previous IP or brand to reassure purchasers about the product at hand. Therefore, the developing Until Dawn brand hands Supermassive another advantage in the market: one that they plan on using as more than a tactic to shift more games. In the short term, the success of Until Dawn does not mean a direct sequel. "There's a lot of speculation about what we're doing and what we're working on right now," Samuels said. But there's one thing he is clear on. "We're not working on Until Dawn 2 at the moment. We're working on other things." That's that, then. At the same time however, the success of Until Dawn does signify one thing. It signifies the moment that Supermassive Games becomes a truly independent company, which means the end of an exclusive publishing partnership with Sony that covered the development of Until Dawn and other earlier PS Move titles. When asked about this, Samuels went to a lot of trouble to explain that the company's relationship with Sony hasn't soured. "We have such a great relationship with Sony. We want to continue to work with Sony, and we are continuing to work with Sony on lots of things. There's no concern or resentment or any bad feeling. They're a really important publisher for us, and I hope and expect that they'll continue to be that." But he equally made clear that the success of Until Dawn has encouraged Supermassive Games to step out into the world and make a name for itself on its own. "We really want to push to bring those experiences, those cinematic storytelling narrative-driven games, be it horror or not, to other platforms as well," Samuels elucidated. "The switch kind of came with the success of Until Dawn. It's, 'Okay, we've achieved a stepping stone,' and it is only a stepping-stone towards, what we want to be as a studio and as a developer." And the next logical step for Supermassive Games is, according to Samuels, to break free and become a development company looking across platforms - rather than tied to one. "It seems that the next logical step for us now is to broaden that out into similar experiences, but with differences depending on the IP, the publisher, the platform, so on. That's what we want, and that's what we're really focused on now...to take what we did with Until Dawn and push that even further." In short, it feels as if Supermassive Games is a company emboldened by its success and attempting to make an ambitious step forward in the industry. But does it mean the company is well placed to become a new standard bearer for the British industry? It's a long shot, of course, and a lot of it will come down to growing and sustaining the Until Dawn IP in the coming years - something that is far from guaranteed in a remarkably fickle industry. Furthermore, it will also require the company to succeed with what Samuels referred to somewhat coquettishly as the "couple of other things on the cinematic storytelling side that aren't announced" to help pay the bills. "I think it's important that the rest of the world sees that success in UK development, and if we can help carry that standard, we'll be very proud to do that"
But when asked about the possibility of being a representative of the sector in the country, it's clearly something that appeals to Samuels. "We're a UK developer for sure, and we're proud to be a British developer," he said. "I think it's important that the rest of the world sees that success in UK development, and if we can help carry that standard, we'll be very proud to do that." And though that fits within the global context that Supermassive Games hopes to fit in ("We're an international business as well, obviously," clarified Samuels), I couldn't help but finish the interview wishing Samuels and his team well. Of course, it really isn't the job of the media to pick winners and this is certainly not the aim here. But in a year where the UK industry has felt like it's certainly had a couple of losers, it might not be a bad thing to have a winner. And whether it's Supermassive Games who provides it or another developer such as Hello Games who provides the success story the sector can get behind, it might just be nice to have another British game development name to use as a shorthand for success in the future. Supermassive Games: "We used to think awards didn't matter"
Until Dawn is running on Guerilla Games engine. If they go multi platform does it mean they can use it on non-Sony platforms? Or do they use Unreal4 or Unity?